The reverberating bangs shake Melanie Perkin's nerves. Either someone's aiming at her truck, or they don't know fireworks are supposed to go upward. Could things get any worse? Yes. 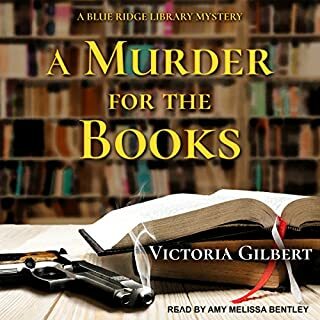 The next day she discovers a dead body in the barn on her late parents' farm, Sheriff's Deputy Granger's gun pointed at the chest of a primary suspect - someone she holds dear. 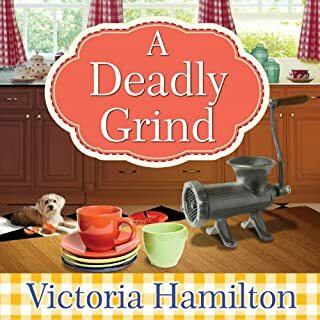 Illegal merchandise flooding the small Iowa town of River's Edge, upcoming Fourth of July activities, and a half-finished manuscript all hinder her determined efforts to solve the crime before an innocent person is convicted of murder. 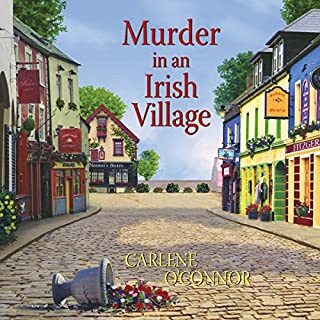 In this, the second novel in beloved cozy mystery writer Elaine Orr's River's Edge series, the author once again offers humor, believable characters, and tight prose as she carries the listener to an exciting climax. Those who follow her Jolie Gentil series will find themselves right at home. You won't want to miss this one! I love the the story line. 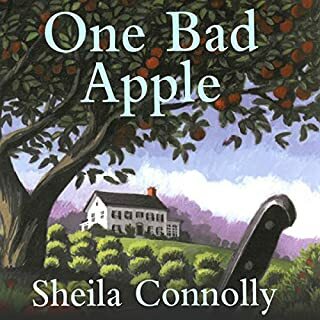 The characters were great and the author had you wondering who could have done it. This was my first book in this series and i would do more of these stories. My problem is the narrator. I had a hard time distinguishing the different characters from each other. Especially the female parts. He did not seem to try an do a feminine voice. I have listen to a lot of male narrators do female parts very well. I feel this type of book is not for Brad. However,his voice would be great in a urban fantasy. He has a great voice for those types of books. Just needs to work on changing up the voices for different characters, Back to the book. I received this book free for an honest opinion. I would like to read more in this series. The book could use a better narrator. That causes me to pause when listening to it. The voice was not very good. The book had a good plot and was well developed. Enjoyed the book overall. 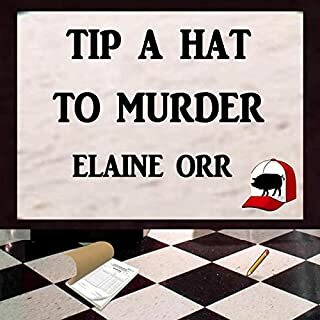 Would you try another book from Elaine L Orr and/or Brad C. Wilcox? Based on this one book that I listened to, I am unable to make an opinion about the author. The book was fine and the writing style was alright. One thing I didn't like about the book is that even though it is marketed as a standalone book in a series, I felt like I am missing things about the main character and it is not properly introduced. I would guess because that is already done in the first book, the author didn't feel the need to do the same in book 2 too, which is understandable. But I wish there was some more "recap" kind of passage where new readers would get to know the character first. The narration was sub-par. All the characters sounded the same and it was very difficult to tell who's who. No. The story isn't that great. I received this book for free from the author / narrator / publisher, in exchange for an unbiased review. What made the experience of listening to Demise of a Devious Neighbor the most enjoyable? The story moved along well and kept your attention throughout. 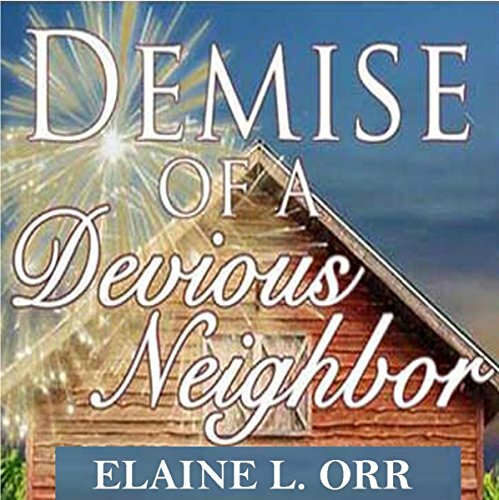 What other book might you compare Demise of a Devious Neighbor to and why? To a David Baldacci novel with all its twists and turns. Yes but with very little voice changes for each character it was hard to tell who we were talking about. When Melanie saves the girl from the explosion was a tender moment. Both the author and narrator were new to me. I thought the author wrote an excellent book but the narrator wasn't the best fit in my opinion. I could not hear any distinguishing changes in the narrators voice for the various characters or situations. This book is part of a series and a standalone listen. I will look for more books by the author in the future. 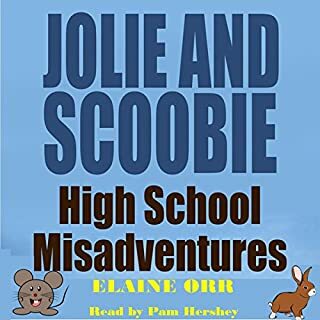 I was provided this review copy audiobook at my request and have chosen to write this review. Having lived in Iowa, I thought the author added some very authentic items to the story. Also, she had some great humor along with endearing characters. This was a nice listen. The narration was good but the voice of the main character didn't work for me. There was mystery and some suspense but even with the fourth of July fireworks, the ending was a little anti-climactic. I enjoyed this well developed mystery. Even though this is part of a series, I listened to this as a standalone and wasn't lost. The plot is intriguing and well thought out. I also really enjoyed the narration.